Child Law Advice is operated by Coram Children’s Legal Centre. We provide specialist advice and information on child, family and education law to parents, carers and young people in England. This section provides legal information and advice on family and children law matters in England. The information ranges from private law matters which includes contact, domestic abuse and adoption to public law matters including local authority involvement with children and child protection. This section has information on the law relating to disputes about children such as where a child is to live, who is to have contact, whether a child can be removed from the UK, disputes about a child’s education and when a child’s surname can be changed. This page provides information on abduction and the unlawful removal of a child from the UK including how to prevent abduction, what to do if a child is abducted and how to lawfully remove a child from the UK. This page explains the role of a child advocate, who can represent the wishes and feelings of children in local authority care. It explains who is entitled to an advocate and the expected standards of an advocate. This page explains the legal process of adoption. It explains who can adopt a child, the legal effects of adoption and how to apply for an adoption order. It also explains post-adoption contact. This page explains the situations in which a child’s surname can be changed. This page explains the law on child abuse, including the different forms of abuse and what to do if you are concerned about a child. This page explains the duties of Children’s Services to act once a child protection referral is made. It explains the different investigations that can take place and the possible courses of action including a section 47 investigation, emergency protection order or care proceedings. This page explains Child Protection Case Conferences, including who can attend, who is entitled to the minutes of the meeting and what will be discussed. It also explains child protection plans. This page explains the law on spending time with a child when a relationship breaks down, including the different types of contact such as supervised or indirect contact and the family court orders for contact. This page explains the legal definition of domestic abuse and the legal steps that can be taken to protect a person and/or child from domestic abuse. This page explains the process of family mediation, when mediation is necessary and the expected standards of a family mediator. This page provides information on getting help to pay for legal costs for family matters. It explains what legal aid is, when it is available and the type of help it covers. It also provides information on the evidence needed for legal aid in private disputes about arrangements for children. This page explains the law on parental responsibility, what this means in practice and how a person can acquire parental responsibility. This page explains the law relating to the situation where a child goes to live with a person who is not related to them for more than 28 days. It explains the duties of the local authority to assess the suitability of a private foster carer and provide support. This page explains the law on deciding where a child is to live including the different types of living arrangements and explaining the family court orders for residence. This page provides advice on the law relating to surrogacy including the different types of surrogacy and who is regarded as the legal parent(s) of the child at the time of birth and for the future. This page provides information on when you can take a child on holiday, whose permission is required and how you can prevent a parent from taking a child outside of England and Wales. This page explains the situations where the High Court can become a protective guardian for a child under wardship including the effects of wardship. This section has information on the law relating to caring for a child who is not yours, including information about kinship or family friends care, young carers. adoption, special guardianship and fostering. It also explains the obligations of the local authority to care for a child and the ability of the court to protect a child. This page explains the duties of the local authority to provide accommodation to homeless young people aged 16 or 17. This page explains the law surrounding an arrangement where a child goes to live with a family member or friend and the obligations of the local authority to assess the carer for support and suitability. This page explains the duties of the local authority to assess and provide support to young people who care for family members. This section has information on the law on child abuse, the duties of Children’s Services to provide for and protect children within their local area and advice for children and parents who have the involvement of Children’s Services in their lives. This page provides information on the powers of the local authority to take action to protect a child who is suffering harm or at risk of suffering harm. This page explains the law on leaving a child home alone including things to consider before taking this decision. This information page sets out the functions and responsibilities of local authorities under Part 3 of the Children Act 1989, which concerns the provision of local authority support for children and families. Specifically, this page will detail Local Authorities’ duties in relation to care planning and placement decisions. This information page will set out the law surrounding Police protection and Emergency Protection Orders which are options available to use in an emergency when a child is at risk of imminent harm. Please see the table below to find out further information. This page provides information on the duties of the Local Authority to provide accommodation to children under the age of 16. It includes information of how the Local Authority will assess a child and the types of accommodation that can be provided. This page explains the duties of the local authority to provide services and support for children who have been looked after once they reach the age of 16. This page explains the rules surrounding direct payments by the local authority to help with meeting a child’s needs. This section has information on the law on all child protection issues, from domestic abuse, abduction, bullying and smacking to the duties of Children’s Services to protect children at risk of harm or homelessness. This page provides information on the duties of schools and local authorities to prevent and tackle bullying in schools and action that can be taken by a parent or child to address bullying. This section has information on the law relating to relationship breakdown including divorce, civil partnerships and alternatives to ending a marriage or civil partnership. This page provides information on dissolving or ending a civil partnership including the grounds and reasons for ending the civil partnership, how to make an application and information on the overall process. This page provides information on the alternatives to ending a marriage or civil partnership which are annulment and judicial separation. It explains the grounds and the process. This section provides legal information and advice on education law in England. The information ranges from the law on bullying, transport and home education to school admissions, exclusions and the duties of schools and local authorities to children with Special Educational Needs. This page provides information on the duties of schools and local authorities to deal with complaints against a school or teacher and how the complaint can be escalated to higher authorities. 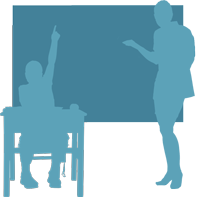 This page provides information on what constitutes disability discrimination and explains the duties of education providers not to discriminate against pupils on grounds of disability. This page provides information on the duties of schools and local authorities to provide education for children out of school because of exclusion, illness or other reasons. This page provides information on the procedure and requirements for home educating children. This page provides information on getting publically funded legal assistance for educational law matters such as discrimination, special educational needs or judicial review. It explains what legal aid is, when it is available and the type of help it covers. This page provides information on the subjects that schools in England must teach in Key Stage 3 and Key Stage 4 and offers advice on what to do if you want to withdraw your child from certain subjects or examinations. This page provides information on the Prevent Duty placed on schools to safeguard pupils from radicalisation and being drawn into terrorism. It includes government definitions on terrorism, radicalisation and extremism and explains the obligations of schools to assess risk, train staff, educate pupils and refer to the Channel programme when there is a need for intervention. This page provides answers to FAQ surrounding admissions for both primary and secondary schools. This page provides information about the law on school attendance and the powers of the Local Authority in enforcing school attendance. This page provides advice on what the expected standards are in relation to food provided in schools in England, outlines the role of the governing body, and stipulates the legal requirements contained in legislation. This page provides information on the powers of schools to screen and search pupils for prohibited items with and without their consent and the power to seize and confiscate items from pupils. This page provides information on the duties of schools and local authorities to assess, identify and provide for a child’s special educational needs within school. This page provides information on the duties of local authorities to provide free school transport to children and young people. This page describes the different types of schools in the UK and how they are funded and managed. It explains the difference between maintained schools, academies, free schools and independent schools. This page provides information on the raising of the participation age in relation to education, employment and training for 16-18 year olds. This page contains a list of organisations that may be able to help with subjects not covered by this site. This section is aimed primarily at individuals who have made their applications in private family law cases. It provides information on the court process, including what to expect in different types of hearings and explains the rules of evidence and the role of CAFCASS. It also provides practical advice on representing yourself in court and has templates of a Child Arrangements Order, Exhibit Sheet and Witness Statement. This page explains the process of family mediation where families can sit down with an impartial party to discuss the future arrangements for children. It explains when mediation is necessary, when you might be exempt from attending and the expected standards of a family mediator. This page provides information on the different options available when bringing a case to court, including legal aid, private representation, representing yourself, using a solicitor’s unbundled services or instructing a direct access barrister. This page explains the different types of hearing that you might have in private family law cases, including the First Hearing Dispute Resolution Appointment, fact finding hearings and final hearings. This page explains the approach of the courts in ordering that one party pay the costs of another party in disputes relating to a child. It gives examples of when costs have been ordered and the circumstances that the court will consider. This page explains the role of the Children and Family Court Advisory and Support Service in the court process, including the safeguarding checks that they carry out and explaining section 7 reports. This page has a sample of an order that can be issued setting out contact and living arrangements for children and an explanation of the contents and terminology used in an order. This page has a sample of an exhibit sheet used to set out the evidence that you wish to present to court. This page has a template of a witness statement which can be used in preparing statements to the court. For issues affecting refugee and migrant children, young people and families, click here to visit our Migrant Children's Project website for specialist information. We welcome your feedback on all aspects of the Child Law Advice service. To visit our feedback page click here. For page of useful links to organisations that may be able to assist on subjects or locations we do not cover, click here.